Demands on government agencies today are constantly evolving, often in unpredictable ways. Middleware infrastructure must provide the modern tools and capabilities necessary to quickly respond to these changing conditions. 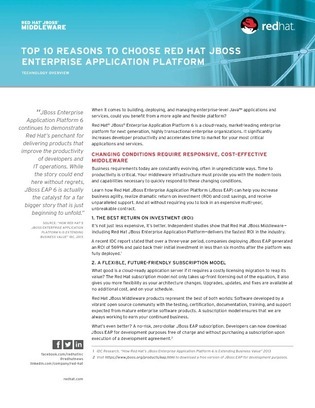 Access this white paper to learn how one enterprise application platform can help you increase business agility, realize dramatic return on investment (ROI) and cost savings, and receive unparalleled support.